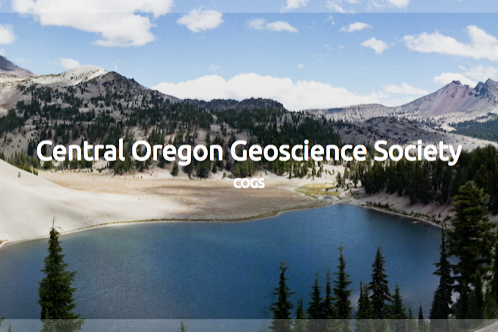 Dr. Adam Booth, who has recently been added to the faculty at Portland State University Department of Geology, spoke to GSOC on October 10 about some work he has done with the Norwegian Geological Survey (NGU). Norway is a country with a landslide problem on its western shore. There some of the world's highest escarpments of gneiss and schist tower over steeply carved glacial fjords. Towns and villages huddle at the bottom of these steep slopes on flat land created by the rock falls and debris flows which come from the slopes above. Blocks of material catastrophically fail periodically along steep foliation planes, sending material plummeting into the fjord below and creating immense waves. Three such events occurred in the twentieth century, leaving a wake of destruction and taking nearly 200 lives. Naturally Norway wants to monitor its landslide areas so that the problem areas can be identified and the population can be warned of imminent events. With a relatively generous budget, the NGU employs a number of methods to catalogue, assess, and monitor potential landslides. These methods include historical records, helicopter and terrestrial surveys, InSAR measurements, LiDAR scanning, and aerial photography. Booth demonstrated the use of each method in the Norwegian landslide work. His presentation included a video clip from an old newsreel film made just after the landslide in 1936. The film showed the escarpment just after the slide and the destruction made by the wave it generated, which was about 30 feet in height. Sites can also be identified using helicopter surveys, aerial photography, and LiDAR. Booth showed a number of slides of each of these methods being used on a landslide complex near Osmundnest on the Hyenfjord, a site he worked on in some detail. He was helping to identify the failure planes of the various blocks of material in the Osmundneset complex. The orientation of fractures is instrumental in the determination of the risk involved in the landslide hazard. It has been found that sedimentary bedding parallel to a steep slope is especially hazardous. The bedding planes of the Osmundneset complex were hard to determine. The location of seeping springs or bulges that often give clues to the base of possible failure planes were not in evidence. The overall geology of the site is that it is part of a syncline structure that would create steep bedding planes on its edges. In addition to evaluating the structure of a site, the NGU team typically will evaluate the effects of climate, topography, deglaciation, and seismicity on a potential landslide. Cold air can be trapped in the cracks of the rock when snow arrival is late. Topography can create hazards when compressive stress fields squeeze a local featured creating tension cracks.